Youtility is marketing so useful, people would pay for it (if you asked them). It’s marketing customers actually want, instead of marketing that companies think they need. I first started thinking about Youtility in 2009, when I heard a speech by Robert Stephens, the founder of GeekSquad. Since then, companies of all sizes and shapes and descriptions are embracing Youtility as the way to break through in today’s hyper-competitive environment where every cute puppy video and new meme jostles for attention with company messages. One of the new trends in Youtility (so new that almost none of these examples are in my book) is taking the principle offline, bridging the gap between the physical and the virtual in incredibly useful ways. The San Francisco 49ers are building a technology-filled new stadium that will give spectators video replays at their seats, and free Wi-Fi. That’s a terrific advance in fan comfort and enjoyment, but the best Youtility is the forthcoming mobile app that will show patrons the shortest beer and bathroom lines. 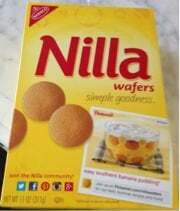 Nabisco’s Nilla Wafers cookies recently launched new packaging that directs consumer to their Pinterest page for “tasty summer recipes” such as “easy southern banana pudding” and more. The Hike House, an outdoors adventure company in Sedona, Arizona has a new Trail Finder, an interactive kiosk that helps would-be hikers find the perfect trail (among more than 100 in the area) for their skill level, scenery preferences, and time allotment. Also in the outdoors category, Columbia Sportswear, a Portland, Oregon–based manufacturer and retailer of outdoor wear and gear, has a fantastic Youtility of their own. Their free mobile app called “What Knot to Do in the Greater Outdoors” provides detailed instructions for how to tie dozens of knots, including which to use in what situation. This is a particularly interesting example of online/offline Youtility because Columbia doesn’t sell rope; they are not in the knots business, per se. Instead, they are giving away useful information and resources so that they can market sideways – getting involved in the lives of their customers in ways that transcend the transactional. So, how do you go about creating marketing people actually crave? My friends at Hubspot put together this handy infographic to help you. Enjoy! Please include attribution to ConvinceandConvert.com with this graphic.